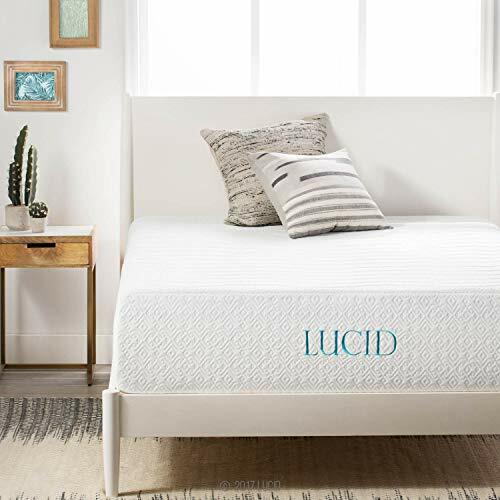 Home » Best Mattress Guide » Lucid Mattress Review 2019: Which Lucid Memory Foam Mattress Should You Buy? Are you looking for a quality mattress for your preferred sleeping position? Or are you waking up with back and/or joint pain and you want to know if a Lucid Mattress is the right fit for you? The Lucid mattress is a memory foam mattress at budget-friendly prices which comes with a wide range of options for all types of sleeping positions and budgets. All of them are made of high-quality materials and offer a broad range of benefits. Chose from the budget friendly 5″ mattress up to the luxurious 16″ versions. But which Lucid mattress is best suited for your specific needs? Our review takes an in-depth look at the variety of models offered by Lucid, identifying their strengths — and weaknesses — to provide you with the information you need to make an informed, fact-based choice. When judging what makes a great mattress, there are a lot of factors I consider in gathering the data and weighing the many available options. What do people who own this mattress have to say about its features? Does the mattress keep the spine properly aligned and relieve pressure from joints? Does this mattress adequately regulate temperature? Does this mattress have sufficient edge support? How does the quality of the product compare to the cost? Is delivery quick, affordable and convenient? What kind of warranty is offered with the purchase? What makes the difference between a so-so, a good and a great mattress has different requirements depending on your individual needs. That’s why this list includes 5 mattresses from Lucid, and not a single pick. Lucid’s 10” Gel Memory Foam Mattress is both firm, yet forgiving: Offering plush comfort while keeping your body properly supported throughout the night. Dense, yet light, this mattress is best suited for people of average body size. The memory foam layer may be too thin for some side-sleepers but is great for those who prefer to sleep on the side or on their back. When I am looking for a mattress for someone who suffers from back and joint discomfort, yet prefers a firm mattress, I’ve often found myself having to make compromises when it comes to choosing the right one. But with the Lucid 10-inch Gel Memory Foam Mattress you can have the best of both worlds: A mattress which conforms to the curves of your body, while maintaining the stability of firm support. And it’s fantastic value compared to others in my opinion. The Lucid 10” gel memory foam mattress provides surprisingly firm support which sets it apart from many memory foam mattresses which offer a more “ultra plush” feel. Therefore it is perfectly suited for those who prefer a firmer mattress and who for that reason shied away from memory foam mattresses before. This mattress’ dual layer construction is what enables it to maintain a firm support while cushioning the body. The 2.5” memory foam layer provides the plush comfort iconic of this material, while the 7.5” layer of high-density polyurethane foam beneath lends additional support. If you’re used to a firm traditional pocket-coil mattress it will not have the same sensation. While this mattress is classified as medium-firm, memory foam is designed to conform to the contours of your body and this difference may take some getting used to. However, the high-density foam layer is designed so that you won’t feel like you’re entirely suspended in space as with more plush memory foam mattresses. Some owners found that when they first received their mattress it was too firm, and required a “break-in” period in order to reach the comfort level they preferred. If you’re looking for the sensation of sleeping on a cloud, this mattress likely isn’t the best choice for you. Tip: If you prefer the sensation of sleeping on a cloud, the 14'' Gel Memory Foam and Bamboo Charcoal Foam Mattress might be a better option for you. A common worry with memory foam mattresses is edge support, but being a firm mattress with a thick layer of dense support the Lucid 10” Gel Memory Foam mattress has less give around the edges than other models. Owners found that while this mattress has less edge support than pocket-coil mattresses they’ve owned in the past, they felt comfortable sitting on the edge of the bed. If you’re a back or front sleeper, this mattress is a great compliment for your sleep position. While many owners reported that the Lucid 10” mattress was equally great for side sleeping, others found that the 2.5” memory foam was slightly on the thin side. They found themselves sinking too deeply into the top layer, causing their hip to rest against the bottom, harder layer. For this reason, if you’re a side sleeper you may want to opt for the 12” Triple-Layer Gel Memory Foam Mattress instead. The 10” Gel Memory Foam Mattress is perfect for people of normal weight, but heavy set people should choose the 16” Plush Gel Memory Foam and Latex Mattress instead. Since the memory foam layer is on the thinner side, it tended to give in too much and developed indents which then resulted in awkward, painful sleeping. If you suffer from back or joint pain you may have already heard the recommendation to switch to firm mattresses to provide more support to your spine; however, not all mattresses address this issue properly. Overly firm pocket-coil mattresses tend to create pressure points on the body that can actually exacerbate your pain. Owners of the Lucid 10” Gel Memory Foam Mattress were impressed by its ability to help mediate their back pain and even improve their posture over time. They found that they truly benefited from this mattress’ firm yet gentle support when it came to keeping their body properly aligned throughout the night. It can be hard to find a mattress that pleases both you and your partner, especially if you have opposing preferences when it comes to firmness. In these situations, I recommend that couples opt for a medium-firm memory foam mattress: Often this proves to be the ideal concession that can adequately address both your sleep needs without either of you having to sacrifice comfort. Another feature that makes this mattress great for bed-sharing is motion-transfer. The firmness of the memory foam augments its ability to isolate movements, which means your tossing-and-turning is less likely to cause your partner to bounce around with you. If you are a hot sleeper, it can be a bit difficult to adjust to a memory foam mattress as they tend to trap more heat than a pocket-coil mattress or waterbed. However, overall owners were pleased with the thermoregulation provided by the gel memory foam; and the TENCEL blend mattress cover provides an additional layer of the temperature controlling fabric to keep you comfortable at night. With a Queen weighing in at only 55 lbs, this mattress is lightweight and easy to maneuver around (which is nice since you will have to flip it over after opening the packaging). You’ll really come to appreciate this feature as it’s recommended that you turn your mattress 180 degrees every 3 months to extend it’s lifespan. For a Queen-size memory foam mattress the price is undeniably budget-friendly while still offering many features available in expensive brand-name mattresses. With the 25-year warranty, it’s clear that Linenspa stands by their Lucid mattresses and are confident you’ll be satisfied with your purchase for years to come. Our Verdict: Great Mattress for Front & Back Sleepers at Great Value - Buy Here! The Lucid 10” Gel Memory Foam Mattress provides the sensation of firm, yet hugging support that helps maintain joint and back health. The thick high-density foam base increases this mattresses’ edge support, and helps to keep your spine properly aligned all through the night. While great for back and front sleepers, it’s not ideal for side-sleepers (opt for the 12” memory foam mattress instead). This mattress is also designed for average-weight sleepers, the 16” Gel Memory Foam & Latex Mattress is a better choice for heavier people. While on the hotter side, the tencel blend cover and gel-infused foam help keep you cooler than other memory foam mattresses. The Lucid Triple Layer 12” Gel Memory Foam Mattress has two layers of memory foam for additional comfort. The unique bamboo charcoal layer aids in heat regulation by increasing the airflow between the gel memory foam and support base. Medium feel, this mattress is suitable for all sleep positions, and side-sleepers will find the depth of the memory foam ideal. The Lucid 12” Triple Layer Gel Memory Foam mattress has a nice thick layer of memory foam to wrap around the contours of your hips when laying on your side, while a firm base keeps your spine properly aligned. In fact, one comment that kept popping up in owner reviews is how closely the 12” Triple Layer Gel memory Foam mattress resembles the Tempur-Pedic Cloud. This mattress has a total of 4 inches of 4 lbs density foam, which is on par with many of the higher-end models. 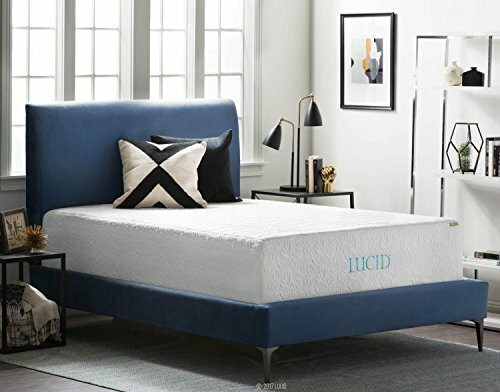 With the addition of the 8” supportive base, Lucid’s 12” mattress provides more support than a typical memory foam mattress with only one layer. This may alter your perception of the firmness of the mattress. Tip: If you’re looking for an extra plush feel, the 14'' Plush Gel Memory Foam & Bamboo Infused Foam mattress is a better choice. Since this mattress is on the softer side, owners did encounter issues with edge support common with memory foam mattresses. Using the right frame can help reduce sinking at the edges when sitting on the bed. However, owners did state that when compared to other similar memory foam mattresses Lucid’s 12” Triple Layer Gel memory Foam mattress performed slightly better as far as edge support thanks to the 8” base of high-density foam. Whether you’re a side, front or back-sleeper, Lucid’s 12” Triple Layer Gel Memory Foam mattress is designed to provide the right amount of support and give to keep you comfortable throughout the night. Side-sleepers often experience pain in their hips and shoulders when mattresses place too much pressure on these areas. With 3” of gel memory foam, plus an additional 1” of bamboo charcoal infused foam, the depth of this mattress is sufficient to wrap around the contours of your body, even while lying on your side. While this 12” mattress is great for any sleep position for average-weight owners, if you’re a heavier-set person you’ll want the added comfort of a thicker layer of memory foam as used in the Lucid 16” Plush Gel Memory Foam & Latex Mattress. While all of Lucid’s mattresses have the benefit of the gel open-cell technology to help with heat dispersion, this 12” mattress has an extra layer of bamboo charcoal memory foam sandwiched between the main memory foam layer and the supportive base. If you’re a hot sleeper, this specialized layer can help reduce nighttime hot flashes and sweats. Bamboo charcoal maintains temperature at a comfortable level by absorbing humidity from the air, and releasing it later during drier conditions. This layer creates air ventilation beneath the main memory foam and the base to decrease heat accumulation during the night, keeping you cool. One owner who had previously owned a Tempur-Pedic Cloud commented that Lucid’s mattress was much better at regulating temperature than the more expensive mattress had been. Bamboo charcoal also helps to get rid of odors, keeping your mattress smelling fresh for years to come. Hot sleepers will also benefit from the cover that comes with this mattress. The blend of Tencell and lyocell is designed to wick moisture away from your body so you won’t wake up in a pool of sweat. The cover is machine washable, but some owners found it a tad tricky to remove and replace. Our Verdict: Great Mattress for All Sleeping Positions At A Slightly Higher (But Very Competitive) Price - Buy Here! The 12” Triple-Layer Gel Memory Foam Mattress has a medium-firm feel that’s suitable for all sleep positions. Many reviewers said that this mattress is comparable to the Tempur-Pedic Cloud, at a fraction of the price. The softer feel comes at the expense of edge support, but this mattress still performed better than other similarly soft mattresses. The extra bamboo charcoal layer increases the mattresses’ thermoregulation, helping to remove moisture and increase ventilation between the gel memory foam and high-density base. This 16” mattress from Lucid has 4 distinct layers to provide comfort and support. The combination of memory foam and latex gives this mattress a unique feel that wraps around your body while improving orthopaedic support. With 4” of memory foam, plus an additional 2” of latex atop the supportive base this mattress is ideal for heavy sleepers. Heavy sleepers often encounter problems with sinking too deeply into memory foam mattresses. This can increase pressure on your joints and spine, especially if your body is resting against the hard surface of your bed’s support. The thickness of the 16” Plush Gel Memory Foam & Latex mattress, combined with the 4 layer construction, enables heavier people to sleep comfortably in any position. This mattress has a thicker base of high-density foam than others offered by Lucid, as well as an additional latex layer which serves as transitional support for your spine between the soft memory foam and the base. The 2” latex layer provides extra bounce, and prevents you from sinking down onto the extra firm base. Latex is also great for orthopedic support and relieving pressure from joints in heavier people when compared to memory foam alone. People of all builds will find this mattress comfortable as well. Lighter sleepers will simply sink less into the top layers. However, this will make the mattress feel more of the firmer side. If you are an extremely hot sleeper, you may experience issues when using plusher mattresses in general; but overall owners of the Lucid 16” Plush Gel Memory Foam & Latex mattress were pleased with the cooling effect provided by the combination of bamboo and gel. These features meant that overall this mattress outperforms similarly plush models from other brands. First, its 4-layer construction includes a firm 10” base, plus the additional 2” latex layer, which provide more support and help the mattress keep it’s form even when seated at the edge. Secondly, it’s very thick so you won’t sink as far into it as you would a thinner mattress, so getting in and out of bed is easier. However, some owners still found that the lack of edge support compared with a pocket-coil mattress caused some issues, and stated it took them awhile to get accustomed to it. At 16” this is a very thick mattress, and in order to accommodate its depth you’ll likely have to purchase new bed linens. If you don’t already own one, pick up a deep-pocket fitted sheet. Some owners found that attempting to stuff their mattress into a too-tight sheet caused it to feel more firm, and reduced its ventilation. This mattress is also quite heavy, weighing a whopping 115 lbs. You’ll likely need to recruit some help in setting it up, and depending on your strength the weight may turn changing your bedding into a workout. Our Verdict: Thick mattress perfect for heavy-set people at a great price - Buy Here! The design of the Lucid 16” Plush Gel Memory Foam & Latex Mattress makes it ideal for heavier sleepers. It’s depth, as well as the unique 4-layer construction provide optimal orthopedic support for people weighing over 200 lbs. However, people of all builds will sleep comfortably on this mattress, although they may feel the mattress as being on the firmer side. The bamboo charcoal infused memory foam helps to combat heat build up, which i common with plusher mattresses. 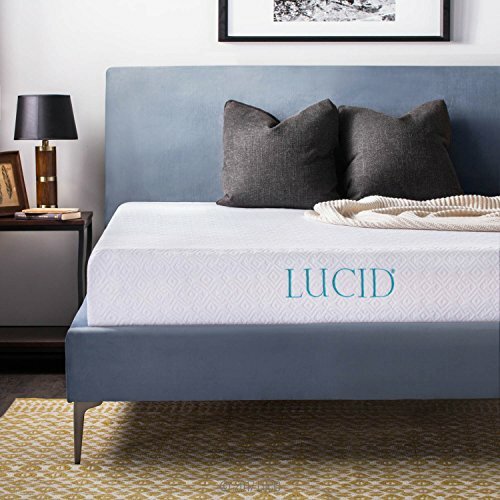 Lucid’s 5” Gel Memory Foam mattress is thin and light, yet supportive and comfortable for average-weight sleepers. At only 18 lbs you can easily travel with this mattress, and its thin profile is ideal for children’s beds. However, even adults will feel adequately supported by its firm construction. The Lucid 5” Gel Memory Foam mattress is an absolute bargain. While it is thin, the memory foam used is the same quality as you find in their other mattresses. No, it won’t be the same experience as sleeping on one of their thicker models, but owners were pleasantly surprised by how comfortable this mattress is. When it comes to feel, this mattress is very firm. Simply put: it has to be. With only 1” of gel memory foam if it were a plush foam you’d simply sink all the way down the high-density foam base beneath. However, while firm it’s still memory foam and it will conform to your body to relieve pressure on your joints and spine as long as you are of average weight. At only 5” high and weighing just 18 lbs this mattress is extremely portable. You can easily roll it up and carry it for quick storage or to bring it with you on the go. Many owners commented that they purchased this mattress for use while traveling, in an RV or when camping. When compared to an air mattress, the Lucid 5” Gel Memory Foam mattress is not only more comfortable and better for the health of your back, but it’s low profile makes it fit easily in tight spaces. Pro-Tip: If you’re in need of a temporary fix, or a spare bed for a visiting family member, this mattress can be quickly unfurled and then rolled up and stowed away when not in use. With their supportive high-density foam base, Lucid mattresses can be placed directly on the floor so there’s no need to set up or store a bulky frame. Kid’s bed frames tend to require very thin mattresses, and it can be hard to find a high-quality memory foam one of the right height. Many owner reviews stated that they had purchased this mattress for their child’s room, and that the twin even fit in many convertible crib styles. The Lucid 5” Gel Memory Foam mattress may be just what you need to revive an old mattress and get a few more years out of it. Some owners have used this mattress as a topper on their old spring-coil mattress and have been pleased with results. Memory foam mattress toppers can be very pricy, even the ones from Lucid of similar thickness as this mattress are over double the cost. Plus, the 4” high-density foam base included in this mattress creates a barrier between you and any uncomfortable pressure points on your old mattress. If you’re going to go this route, you’ll need to purchase a deep-pocket fitted sheet to fit over both your new lucid mattress and your old one. OUR VERDICT: Great if on a budget, for children beds or if portability is important - Buy Here! The Lucid 5” Gel Memory Foam Mattress is a high-quality memory foam mattress at a bargain price. This ultra-light mattress is easily moved, rolled up and stored, making it ideal for travel or as a guest bed. Its low profile makes it ideal for children’s rooms, and the twin fits in most convertible cribs. Although extra-firm in sensation, the memory foam still wraps around your body, relieving pressure from your joints and spine. 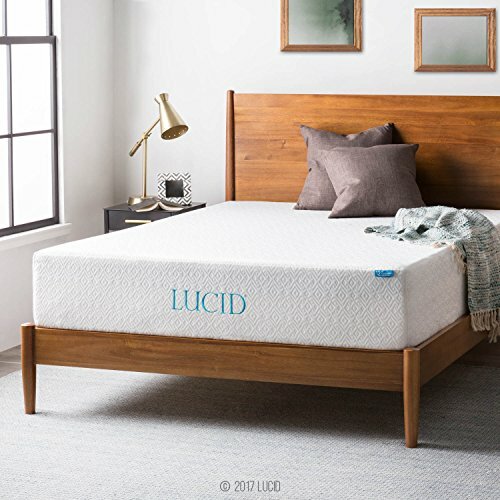 For the ultra comfort seeker, this 14” Gel Memory Foam & Bamboo Infused Memory Foam mattress from Lucid offers the sensation of sleeping on a cloud. The 4” memory foam top layers fully envelop your body in plush comfort, while the 10” supportive base ensures your spine is kept in proper alignment. However, it’s not ideal for front sleepers. If you’re someone who adores plush comfort, and wants their mattress to feel like sleeping on a cloud, the Lucid 14” Plush Gel Memory Foam & Bamboo Infused Foam mattress is a great choice. Several owners described the feel of this mattress as being akin to “sleeping on a marshmallow”. The Lucid 14” Gel Memory Foam & Bamboo Infused Foam mattress is not a traditional memory foam mattress. The triple layer construction stacks different densities of foam on top of one another, from softest to most firm. For this reason, if you’re used to the sensation of a mattress that is just one uniform layer of foam throughout you may need to adjust to the different feeling provided by this Lucid mattress. 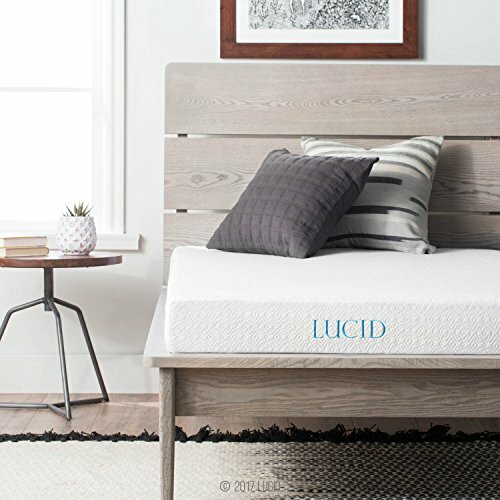 If plush mattresses have caused you back pain in the past, this Lucid mattress has a unique solution to that problem. The top two layers of plush memory foam will hug your body — providing that plush sensation — but you’ll get the additional orthopaedic benefits of the 10” high-density support base. This base ensures that your spine stays in proper alignment throughout the night. Back and side sleepers will have no issue sinking into the comfort of this plush mattress. The ultra-soft bamboo charcoal infused foam, along with the gel memory foam beneath fill in the gaps around your lower back, hips and neck to keep these areas supported. However, if you’re a stomach sleeper you’re better off going with a firmer model, such as the Lucid 12” Triple-Layer Gel Memory Foam Mattress. As this mattress sinks deeper around your heaviest parts you may experience pinching in your lower back. This mattress provides great support for maintaining back health in otherwise healthy individuals; but, if you have any preexisting condition that causes back or joint pain you’ll benefit from the additional support offered by a firmer mattress. The Lucid 10” Dual-Layer Gel Memory Foam mattress is a better choice. With plush mattresses you may need to consider buying a new pillow. As the plush layers allow your body to sink deeper into the mattress, you may find your old pillow is too high and causes your neck to bend at an uncomfortable angle. A thinner pillow will restore alignment, preventing neck and shoulder pain. However, your comfort need not come at the expense of your back — This mattress has a firm, high-density support base that will keep your spine aligned, even while wrapping you in plush comfort. This mattress is great for back and side sleepers, but front sleepers should opt for a firmer model. All of Lucid’s mattresses include a layer of memory foam infused with gel beads that help to ventilate the foam, improving heat distribution and preventing temperature build-up as you sleep. Some owners did comment that in hotter months these mattresses do have a tendency to trap in more heat than a traditional pocket-coil mattress. 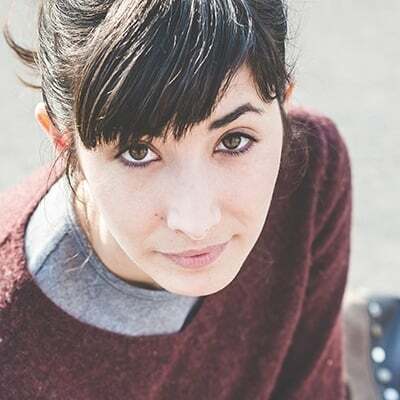 However, others who had previously slept on alternative memory foam mattresses claimed the Lucid mattresses performed the same or slightly better than their previous one. Switching to lighter bedding and pyjamas can help resolve heat retention issues when using a memory foam mattress. All Lucid memory foam mattresses have undergone analysis by an independent, accredited testing laboratory to ensure they meet the CertiPUR-US standards. Certified foams are ensured to preserve indoor air quality, and are made without the use of ozone depleters, harmful flame retardants, formaldehyde, or phthalates. Lucid mattresses come with an extensive 25-year warranty protection period which covers manufacturing defects. The main owner complaint regarding the warranty was that a permanent indent must exceed 1.5” in order for it to be refund-eligible. Many found that this was an excessive requirement. The majority of owners who had contacted Lucid with concerns about their purchase stated that they were overall pleased with the customer service they received, and had been able to find a resolution to their issue. However, others found that while returns are accepted, the logistics of repacking the mattress deterred them from doing so. Delivery is free with the purchase of your Lucid mattress, which arrives at your door in a reasonably sized box that many owners were amused could contain their new mattress. Once you slide it out of the box, and cut the vacuum seal wrapping, your mattress will immediately begin to expand. The expansion process takes approximately 48-hours, but most owners claimed their mattress was almost at full-size within a few hours of opening the packaging. All memory foam mattresses have a distinct smell to them when first unwrapped, and Lucid mattresses are no exception to this rule. Always allow your new mattress a minimum of 3-days to air out in a well ventilated area before sleeping on it. Some owners of Lucid mattresses did comment that it took longer than they expected for the scent to dissipate — with a few reviewers stating that they could still smell it a month later. If you are particularly sensitive to smells, leave your mattress to air out for a longer period and ensure the scent is gone before putting on your bed linens. Lucid mattresses offer good quality for a very fair price. If you are on a budget but still want to buy a quality product you have found what you were looking for. That being said each mattress has it’s strength and weaknesses so choose carefully and pick the right mattress for your individual needs. The 25 year warranty is definitively a statement of confidence and you can return every product within 120 days after purchase. We hope you liked our review of the Lucid mattress family and if you are thinking about buying one of their mattresses we would appreciate if you would do so using one of our links. I love that you divided this out by what kind of sleeper you are. That is SO helpful. Thanks for sharing!